My dream as a child was to travel the world and explore new places and cultures. Most days, I can’t believe I actually made it a reality with a yearly bucket list. It’s a great reminder to encourage Athena to follow her passions and allow her personality and talents to flourish. She was a born performer. She’s always bursting with energy and she’s a social butterfly, making friends all over the world. That strong character has pushed her towards performing for others. She’s constantly singing and asking me to record videos of her to send to family and friends so when I saw VTech Kids Kidi Star toys, I knew it was the perfect match for her. I couldn’t even wait for Christmas to give them to her. I knew they’d keep her entertained, and us entertained, all holiday season. 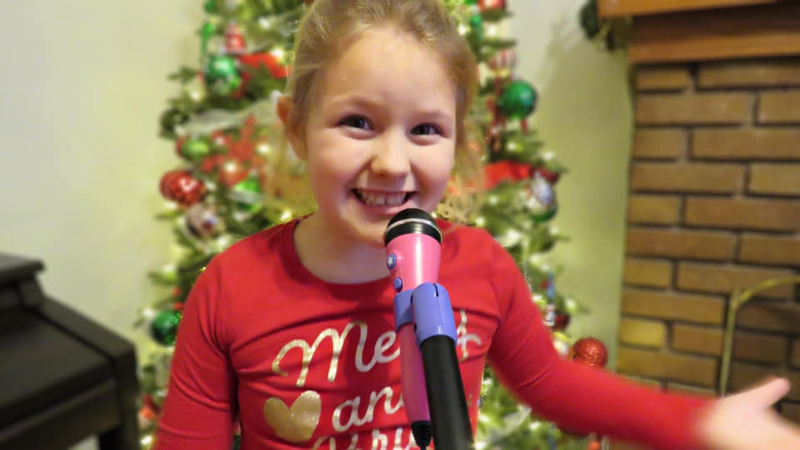 There are three different Kidi Star options including the Kidi Star Karaoke Machine, the Kidi Star Music Magic Microphone, and the Kidi Secrets Selfie Journal. Each one offers something creative and fun for children of all ages. 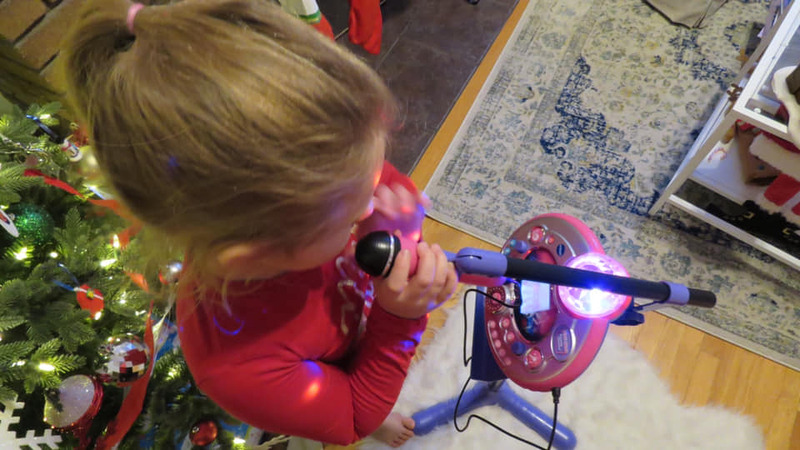 The Kidi Star Karaoke Machine is Athena’s favorite VTech Kids toy. She can have the ultimate concert experience and sing along to the included tunes or connect to my iPhone using Music Magic mode to turn down the main vocal track of her favorite songs. She can record up to five minutes of vocals and add fun voice-changing effects. Built-in audience sounds, games, and disco lights add to the overall experience and create a complete party in one. The set-up was so easy that Athena literally did it herself. While I was sleeping, she took it out of the box and put it together on her own. She carried it into my room for a morning disco karaoke party without any help. The 180 degree colorful light effects created an atmosphere for singing and dancing. 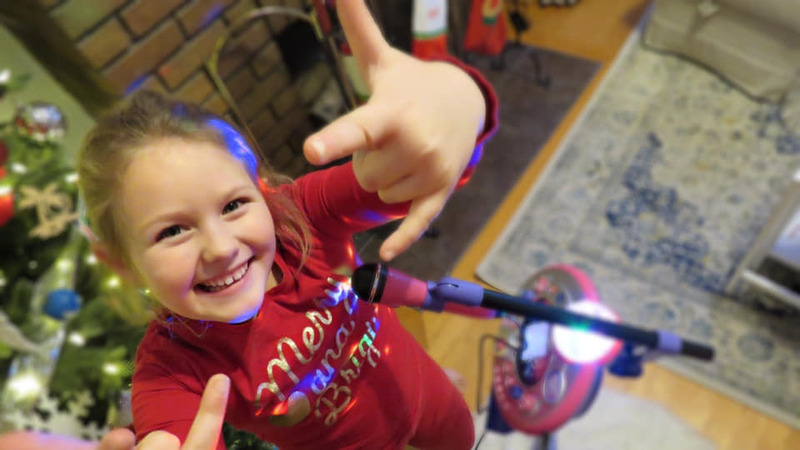 For a smaller, more portable experience, the Kidi Star Music Magic Microphone allows Athena to be a star anywhere in the house. It also connects to my iPhone for a personalized experience. The built-in recorder allows us to record up to two minutes of vocals. While the karaoke machine is Athena’s favorite VTech Kids toy, the Kidi Secrets Selfie Journal is the most unique and the toy that she has been using the most. It can take photos and record voice messages to keep her thoughts and dreams safe and sound. It’s like blogging for kids that are a little too young to write. She can also write diary entries, play games, and decorate photos. The unique facial recognition software allows her to unlock the journal and she can personalize over 750 diary entries with her photos and voice memos. She is surrounded by a life of blogging and sharing via social media. The Kidi Secrets Selfie Journal allows her to explore that world in a safe and fun way. We try to encourage Athena with other musical instruments and toys that promote creative development. 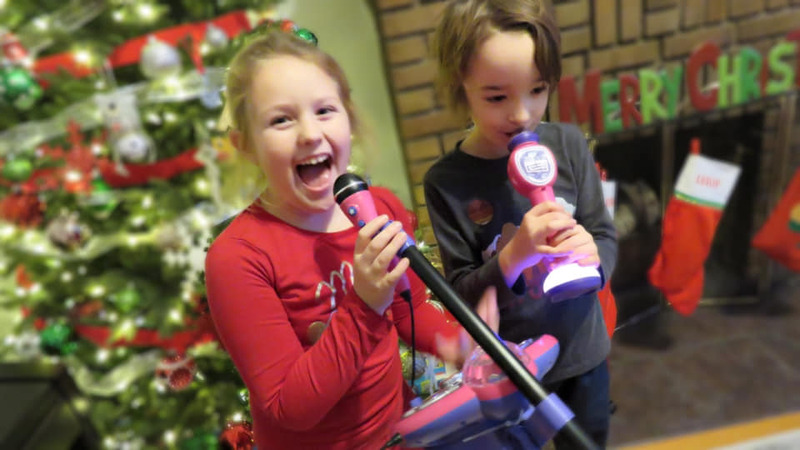 You can check out our Christmas Wish List for other creative toys and fun bucket list experiences.